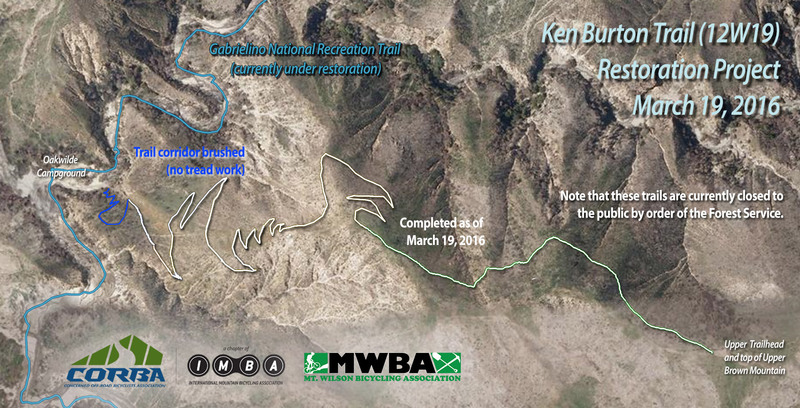 Saturday, March 19, 2016, was a perfect day to do trailwork. There was moisture in the ground from the week’s rain, temperatures were cool, and the crew were able to ride to and from the work site via the Gabrielino trail. 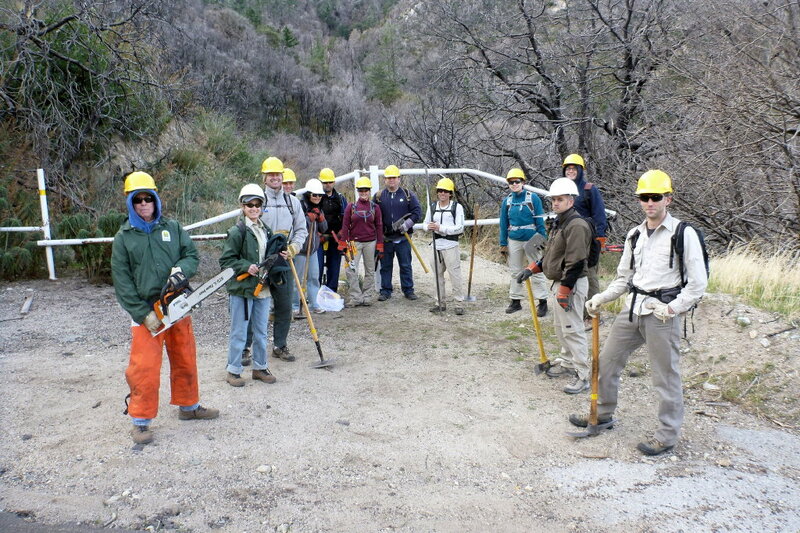 A half-dozen or so volunteers were already on their way to the work site when this group photo was taken. 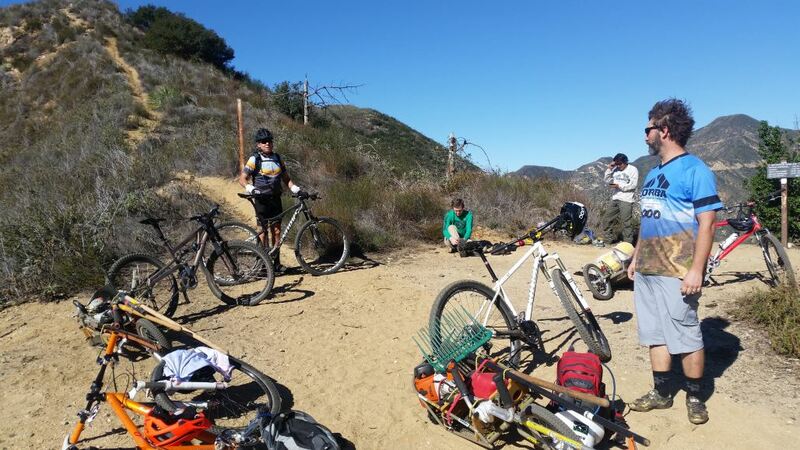 While several volunteers rode in via the Gabrielino, some opted to ride up to Brown Mountain and enjoy the fruits of their labor on the way down Ken Burton trail to the work site. It was the first time we had been able to ride all the way down to the 16th switchback without interruption. 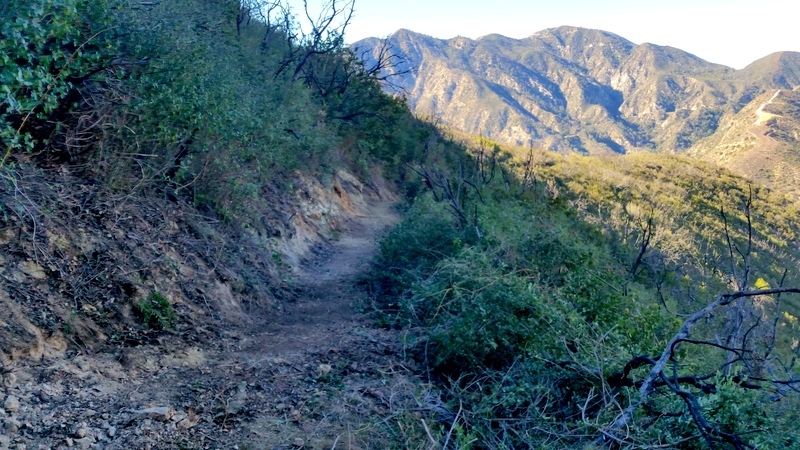 The volunteers who rode down Ken Burton trail were all in agreement that the efforts of the group over the previous five months had been well-worth the experience. 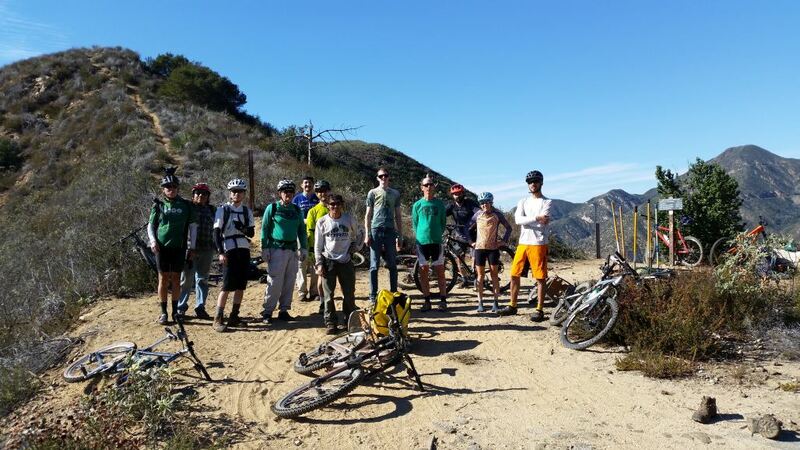 We were fortunate enough to have several SoCal High school league student-athletes and coaches join us for the day, along with members of the IMTBTrails.com mountain bike forum out of Santa Clarita. 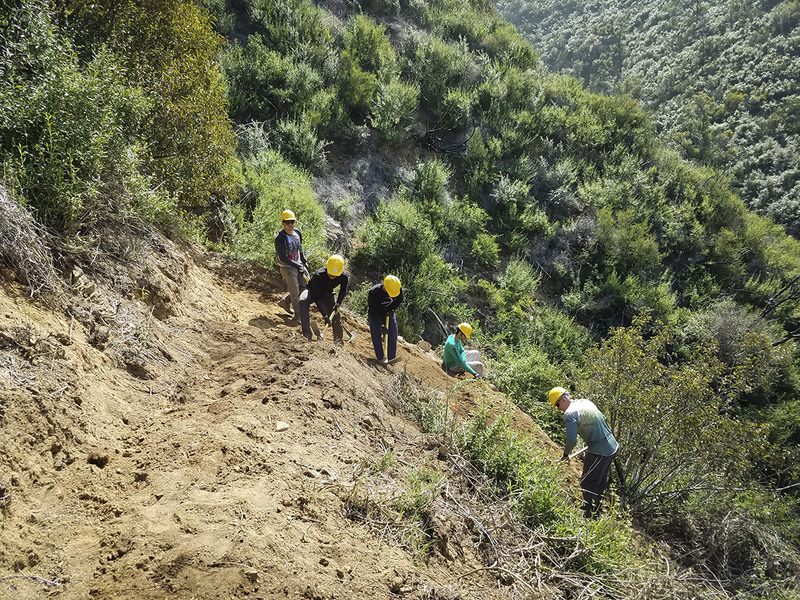 With the major brush work completed, the crew split into groups, concentrated on re-cutting the bench along a heavily damaged section of the trail, restoring outslope, and removing remaining roots and stubs from the tread. 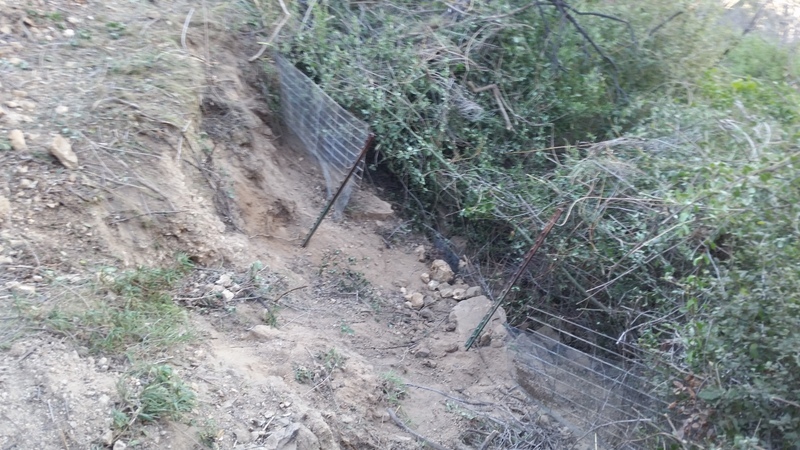 Another crew worked diligently to rebuild the 16th switchback, using rock extracted from the tread to build an outside retaining wall on top of the old wire basket retaining structure that had failed. By day’s end, the switchback was completely rebuilt. We were fortunate to have the expert assistance of Hans from Bellfree Contractors on this major effort. 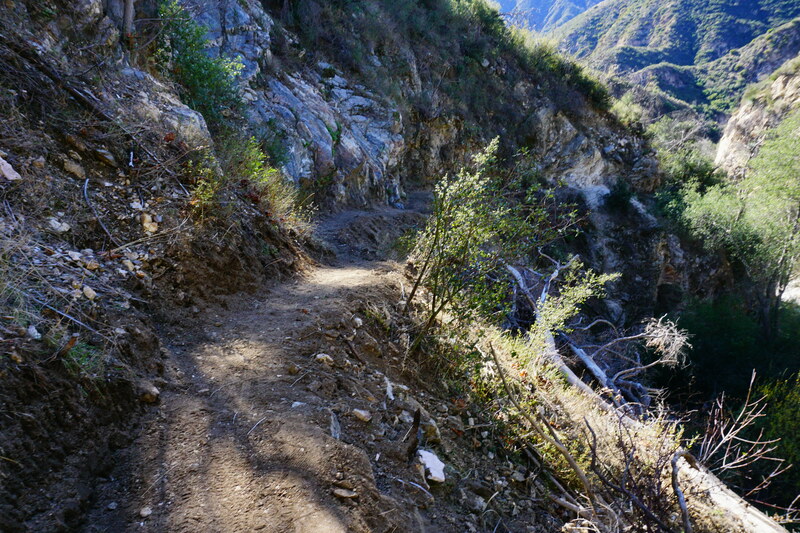 By day’s end the crew had completed tread work almost all the way down to the 17th switchback, restoring one of the more heavily damaged sections of the trail so far. So far, 81 individual volunteers have put in 1,408 total person-hours of work on this project in 14 scheduled work days, plus another 12 prep days. 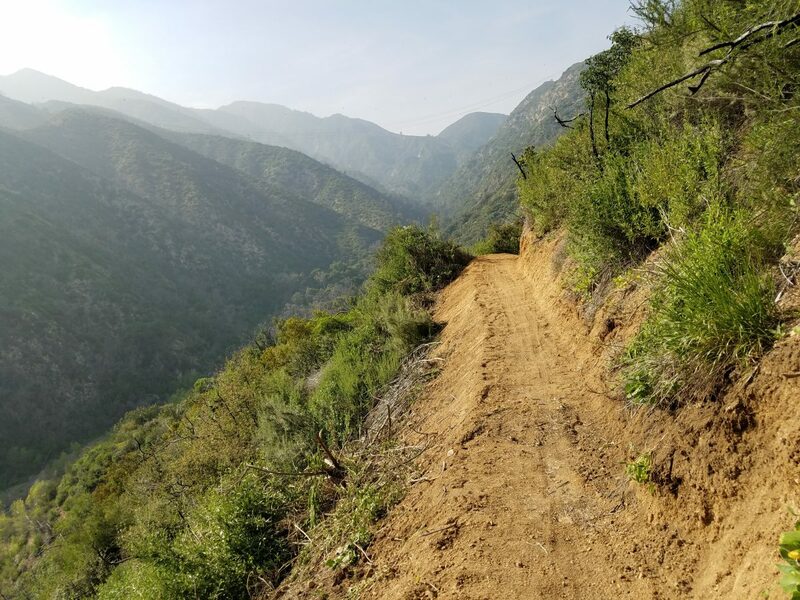 This is an impressive effort to restore this much-loved trail that was built by mountain bikers from the Mount Wilson Bicycling Association in the early 90s. 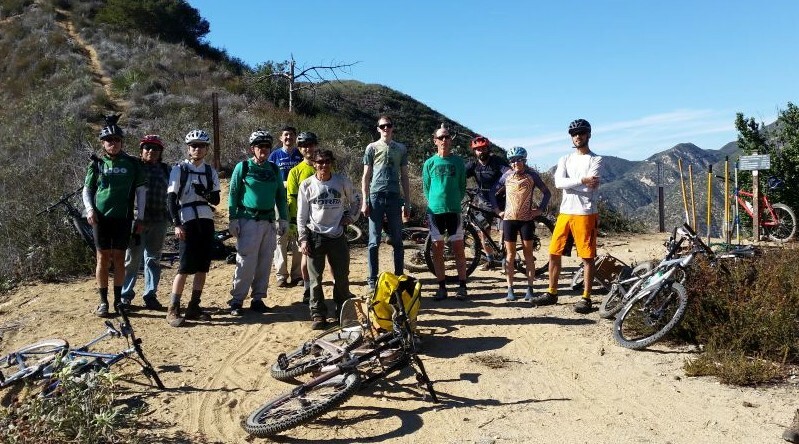 The next scheduled group work day on Ken Burton will be with Mount Wilson Bicycling Association on April 17, though there will be additional prep days before then. 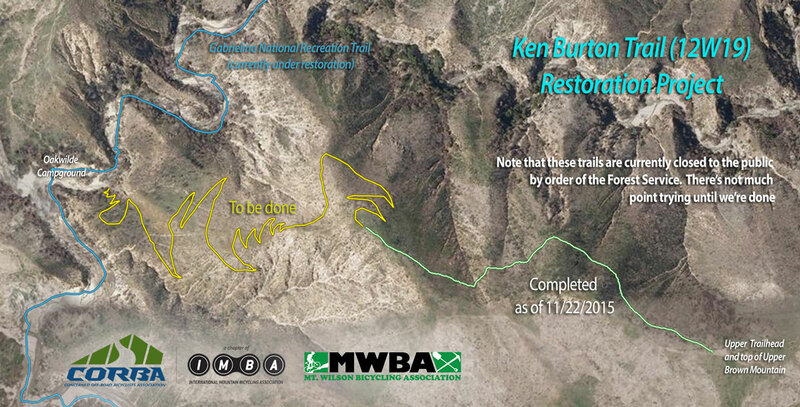 Contact Steve@corbamtb.com if you’re interested in helping prep before then (likely April 10). On January 14, 2012, volunteer crews once again tackled the Gabrielino Trail between Switzers and Redbox. 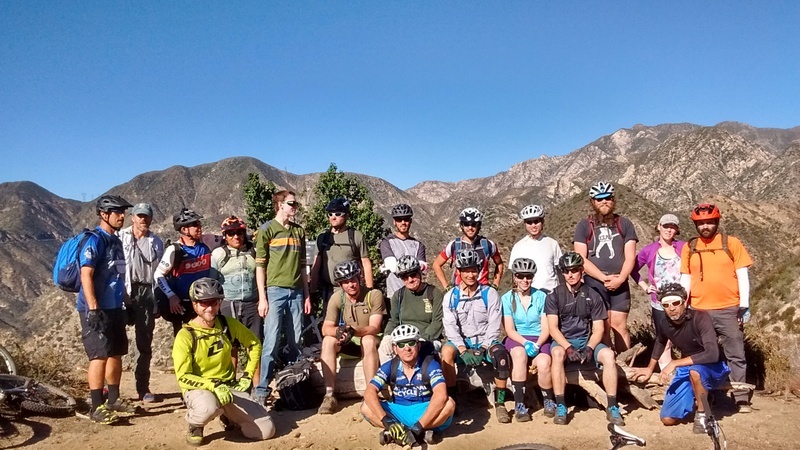 CORBA combined forces with the Mount Wilson Bicycling Association, our neighboring IMBA chapter. 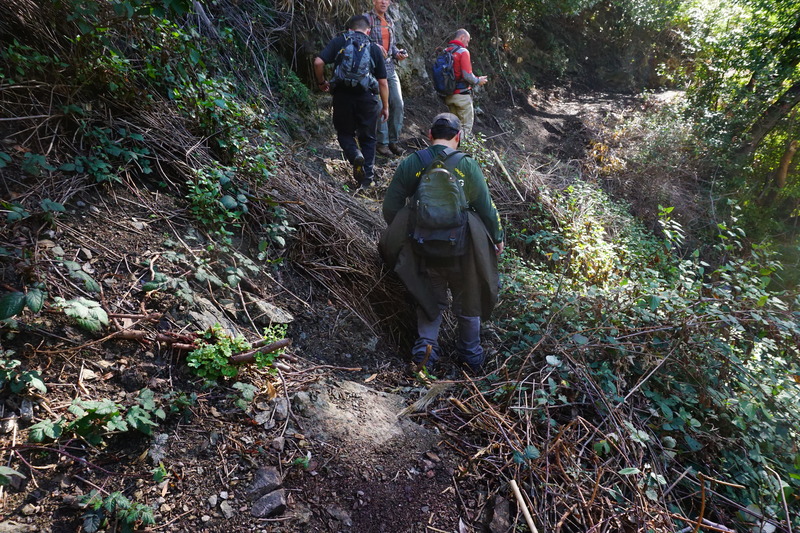 We continued on our work from our last trailwork event in December, working on approximately 2 additional miles of trail. 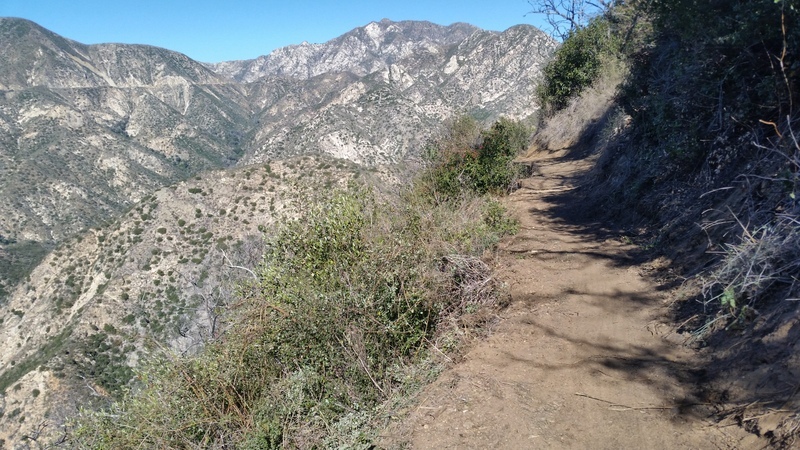 The crews hiked in from the access road halfway between Clear Creek and Redbox. 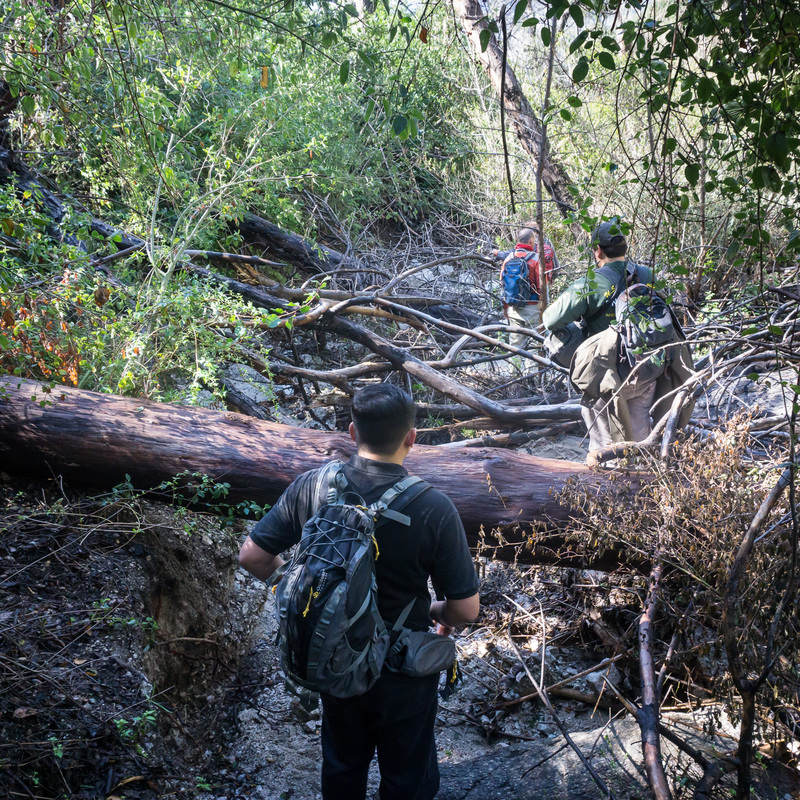 From there, one crew headed down the trail, and another headed up the trail. 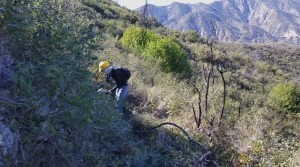 A third crew of two went to Redbox and worked their way down clearing debris and downed trees from the trail. 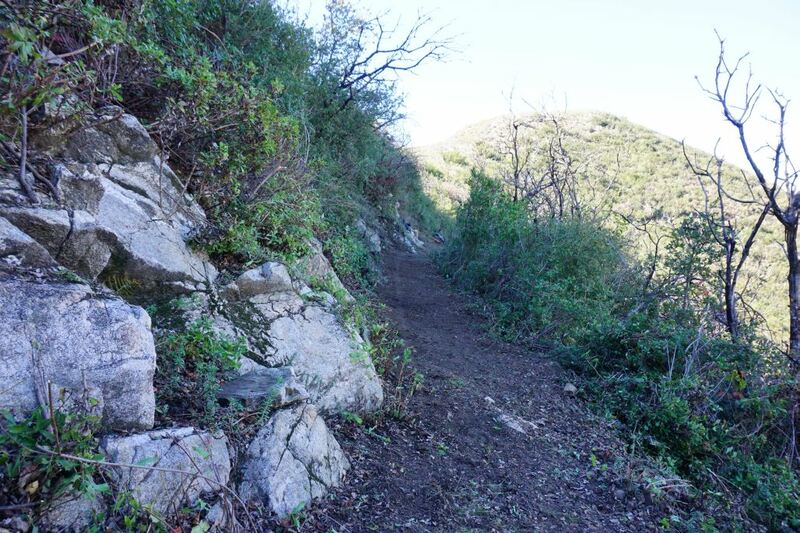 The crews cleared and rock-armored several drainages, cut back brush, repaired damaged trail tread, and cleared rock and other debris from the trail. 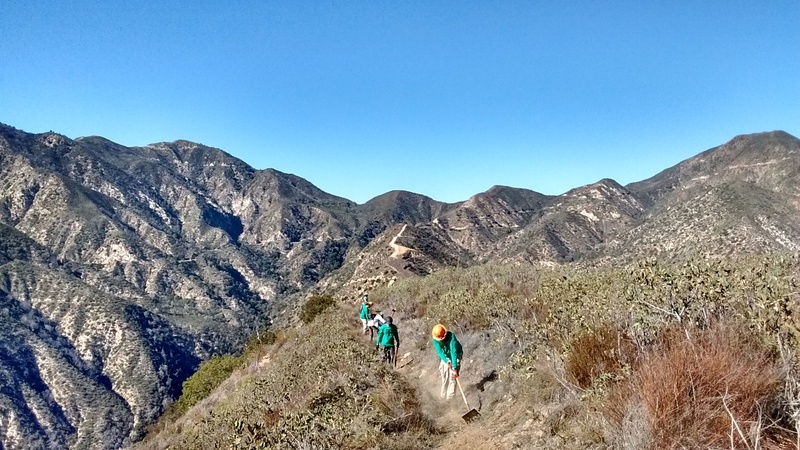 Several groups of hikers and cyclists came through as the work was being done, many more than we saw during the last trailwork day in December. 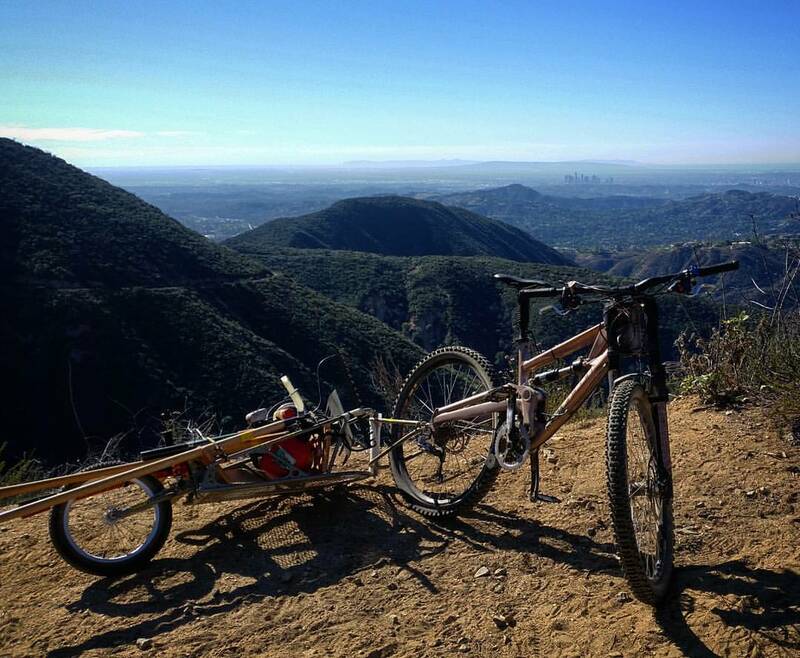 With the trail now over 95% rideable, we anticipate many more users on the trail as we enter spring. However, we must caution everyone to beware of the poodle dog bush. 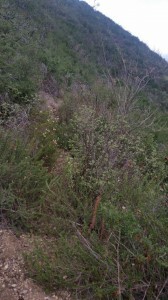 It’s impractical to cut back, but much of the trail is lined with the plant. 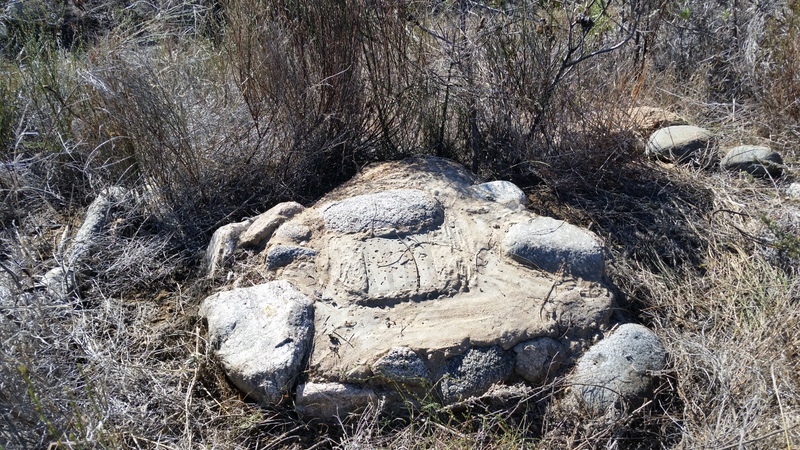 At least two of the volunteers reported cases of poodle dog a few days after the work was completed.